How is a Celebrant Funeral Ceremony Different? How is a Celebrant Funeral Ceremony different than what a funeral home or other funeral officiant or minister might offer? There two essential differences. Most importantly I contribute to the process my experience, training and knowledge but not my beliefs, values, or religious inclinations. I will create a ceremony for your loved one that will be a reflection of what they held dear. 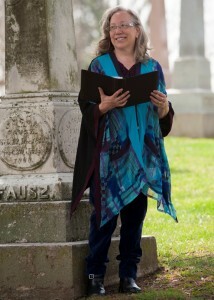 I create End of Life Ceremonies that address the needs of the family and friends. My opinions are completely immaterial to this ceremony. The service will be as religious, spiritual or secular as you wish. As a Celebrant, I am uniquely trained in funeral traditions of many cultures and religious and spiritual traditions. If I am unfamiliar with your traditions, rituals or beliefs, I will do the necessary research to insure that this ceremony is meaningful to you. Secondly, a Celebrant Funeral Ceremony is completely custom and unique. There is no formula that will result in a ‘fill-in-the-blank’ type ceremony. I will meet with family and friends for an extended interview. This often requires up to two hours to gather data on the life, loves and unique character of the deceased. I will work with you to co-create a ceremony with the life story, songs, rituals and readings that truly creates a tribute to the spirit of your loved one. You will fully approve the Eulogy and the Ceremony before the event. With my expertise all the elements of the ceremony that you desire with be fully written into a flowing, carefully orchestrated, powerful and meaningful service. The ceremony is delivered in a professional, compassionate, dignified and heartfelt manner. You can count on me to handle all the details so that you can focus on the love, support and healing of this very special ceremony. This task may seem overwhelming during this time a trauma and grief. I can help bring order to the chaos and healing to your sorrow.